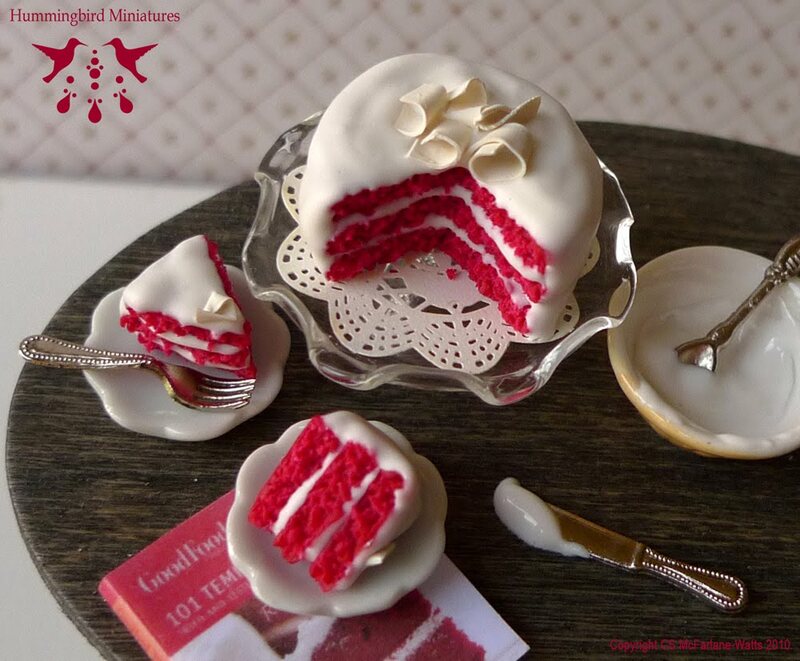 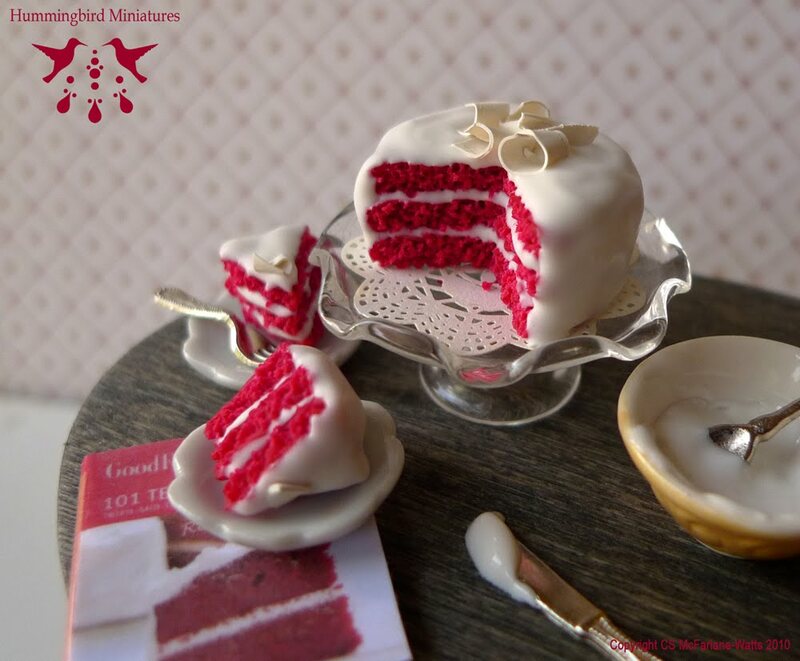 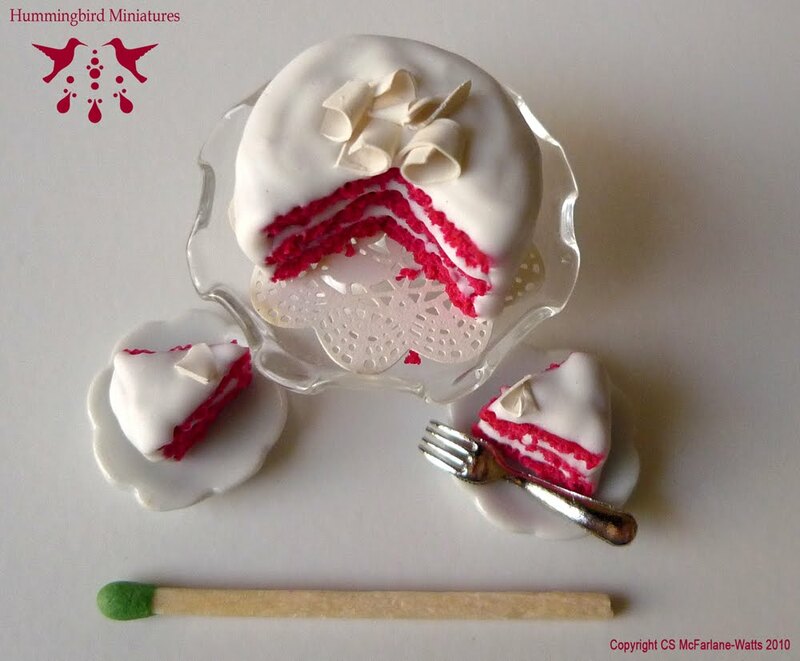 Hummingbird Miniatures: Red Velvet Cake! 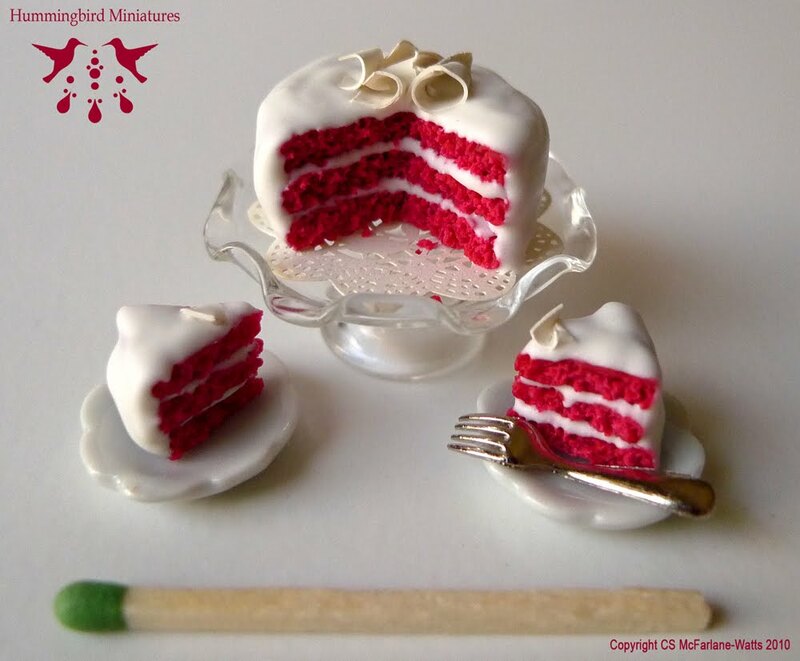 This delicious 3-layered Red Velvet Cake is red velvet sponge, white sugar frosting and decorated with white chocolate shavings. 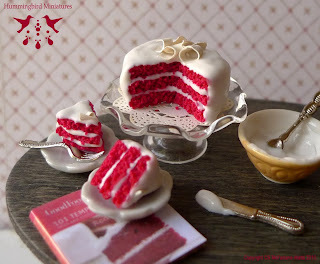 Whole Chocolate Fudge Birthday cake!